Budgeting and forecasting are necessary evils to keep a company on track to meet their short-and long-term goals. Unfortunately, the process can be time-consuming and complicated. As CEO, you will want to make this yearly task move as quickly and painlessly as possible. 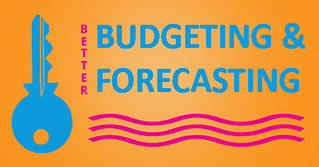 These six tips will act as a better way forward when completing your budget and forecast for the coming year. Without a clear understanding of your goals for your company, any plan you make will lack direction and focus. Since forecasting is about assessing the current landscape and making decisions about the future trajectory of your business, and budgeting involves creating a plan for that potential future, it's crucial to have clearly defined objectives for your business. Having clearly defined goals also means the planning will be easier, since they help your entire team buy in and work toward a common goal. As CEO, the buck may stop with you when the success or failure of the company is assessed, but it doesn't mean you know everything. Making the budgeting and forecasting process a team effort means you have those who are experts in their particular area handle that portion of the process. For example, having a financial team in place to handle the detailed figures and equations involved in creating budgets is a must. When it comes to creating a forecast involving the various departments, each department head can provide needed insights. You can then make a holistic assessment of where the company should be headed based on the respective trends from each department. It is easy to overlook all the details involved in running a company. As the CEO, your focus is on the big picture and long-term strategy of the company. However, when creating a budget, all details matter, regardless of how small or irrelevant they may seem. While paper clips, staples and client dinners may not sound like major areas of concern, those type of expenses can add up and impact the bottom line. You should keep track of every department's expenditures throughout the fiscal year so you can make a budget that's reflective of all aspects of your business. The world moves at a rapid pace. Relying on predictions made months prior isn't likely to help your company reach its goals. A rolling forecast allows you to continuously use new information and changing market conditions to ensure your company meets the goals you've laid out, regardless of changing trends. Also, when making your budget, remember to build in some flexibility to account for these potential changes. You want to ensure you have the funds available to handle any needs a changing forecast may require. There's always a new shiny object that the company must have to help you meet your goals faster. If it is really important, then finding a way to fit it into the budget should be your priority. However, resist the urge to blow the budget for this new need. The budgeting process exists for a reason and is necessary to keep your company fiscally on track. The right planning software is a necessity when completing the budgeting and forecasting process. The right tools will make an arduous process that much easier. Cloud-based systems have quickly become the industry standard, so make sure your company isn't using antiquated methods or software to get the job done. We are available to assist with any portion of your planning, budgeting and forecasting process by providing in-depth consultation, or acting as a sounding board during any, and all phases of your planning process. 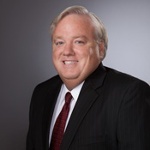 Michael Milam, CPA,CGMA, MAcc is a founding partner of Milam, Knecht & Warner, LLP. He regularly speaks and publishes articles on tax and estate planning.